(CBS News) It may be hard for a physician to decide when enough resuscitation efforts have been done on a patient who suffered a cardiac arrest. However, researchers at the University of Michigan Health System have discovered that longer attempts may be useful in some cases. By just extending the length of resuscitation attempts for 10 to 15 minutes, doctors may be able to see more favorable outcomes without too much time and resources taken away from other cases. About 200,000 hospitalized patients have an incidence of cardiac arrest yearly, with only half surviving - meaning their heart beats independently for 20 minutes or more - their first episode. Less than 20 percent survive to be discharged. 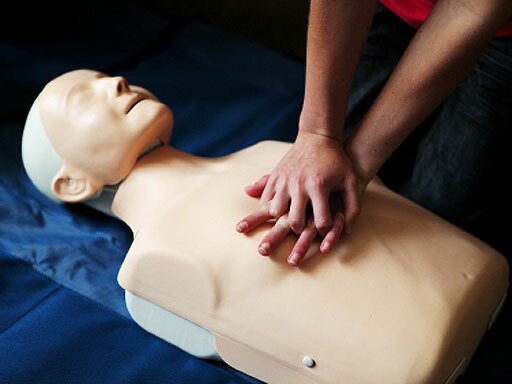 On average, most people who are resuscitated do so in about 12 minutes. Traditionally, it is believed that the longer it takes to bring someone back - typically 30 minutes or more - the worse their chances of survival. But, the new study, published Sept. 5 in the Lancet, showed that about 15 percent of patients who survived needed at least 30 minutes of resuscitation. "Our findings suggest an opportunity for improving care in this high-risk population. Overall, it may involve standardizing the time required for continuing resuscitation attempts prior to decisions regarding termination of efforts," author Dr. Zachary D. Goldberger, an assistant professor at the University of Washington, said in a press release. After looking at U.S. data from 435 hospitals and more than 64,000 patients, researchers discovered that average resuscitation times ranged from a median time of 16 minutes to 25 minutes. Overall, the median resuscitation time was 17 minutes. Hospitals that had longer resuscitation times had patients who were 12 percent more likely to survive than those that had shorter times. In addition, patients didn't suffer any significant differences in neurological function the longer it took for them to regain their pulse. Other factors such as the quality of chest compressions may have also attributed to the success rate, the researchers noted. They were unable to ascertain or recommend an average amount of time that resuscitation attempts should take. "The optimal resuscitation duration for any individual patient will continue to remain a bedside decision that relies on careful clinical judgment," author Dr. Steven L. Kronic, emergency department physician and head of the CPR committee at the University of Michigan in Ann Arbor, said in the press release. "Overall, we believe these findings present an opportunity to improve resuscitation care, especially at a systems-level." But Dr. Robert Glatter, an emergency physician at Lenox Hill Hospital, in New York City, hypothesized to HealthDay that the results don't address the issues that most patients who have a cardiac arrest in a hospital are facing. He was not involved in the study. "From clinical experience, overall survival after in-hospital cardiac arrest is quite poor when there is no clear reversible cause for the arrest," Glatter said. "However, when there is a potentially reversible cause for the arrest, successful resuscitation efforts may potentially improve. This suggests that in these limited clinical situations, there may be a window of opportunity to improve care by increasing duration of resuscitation time prior to termination of efforts." He added that the study was completely observation and does not imply that longer resuscitation attempts cause a higher survival rate.